Are You A Manager Or Owner? Bravo Three’s home office is located in San Diego, so we have learned the many little nuances to apartment security throughout the city and county. We have patrols nightly, seven day a week, in addition to our standing posts. Our CEO, Dave Garcia, sits on the board of the San Diego Gang Investigator’s Association as vice president, which gives him an inside look into gang activities and their effects on apartment security in San Diego. Now, we want to pass on the knowledge to you. The information we will discuss is good for residents, managers, and owners alike because to maximize your safety, it is a group effort. There are many pros and cons to living in San Diego. I think you would agree there are far more pros than cons. 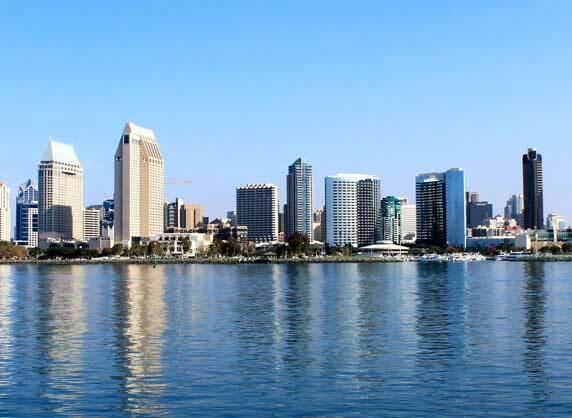 But, with all the positive attributes San Diego has to offer it attracts a large range of people. San Diego has many unique features that provide a number of security issues, both small and large. Warm weather year-round attracts transients, which can lead to anything from annoying dumpster divers to vacant unit break-ins. Proximity to the US-Mexico border invites unwanted gang and drug activity that spreads hundreds of miles from the border. These are just a couple things Bravo Three deals with on a daily basis and we want to share some of these things with you. It is hard to plan for security if you don’t know what you are up against. So let us tell you what to look out for, and ultimately stay safe. One of the most common issues Bravo Three deals with every day is the homeless population. With a relatively high cost of living, many people end up in the streets. That, coupled with beautiful weather year round, homeless can live comfortably without seeking shelter from the weather. For managers and owners, transients can quickly devalue your property. People don’t want to deal with it. Not only do they not like dealing with them, they can pose a security threat. Get rid of the transients and everyone wins, but how do you do it? Reducing transient problems all hinge on one thing. Regardless of what methods you use to rid them from your property, it comes down to being consistent. Homeless want to have shelter and not be bothered. They also like quick and easy access to dumpsters. When addressing the problem, first try to reduce any areas for them to hide. Tall brush and overhanging trees are usually the easiest to address. You can completely remove the bush or trees or just trim them up. Remember to keep on top of this maintenance or they will just return. Also try and avoid creating blind areas that don’t get much traffic. This is common in the back corners of apartment properties. Fencing, storage units, etc. cause these blind spot and can be easily moved to help solve the problem. They don’t like to be bothered. So, have your management and security company stay on top of this. Consistently and firmly ask them to leave and they will go somewhere else and eventually learn that you mean business. Word travels fast in the homeless community, so getting rid of a hand full of people can lead to solving the entire transient problem. As far as the dumpsters go, I have heard numerous times from managers that, “If they aren’t bothering anyone, why can’t they go in the dumpsters?” Well guess what, they are bothering your residents guaranteed. Just because you don’t see it as a problem, your residents will. Firmly and consistently telling them it is not allowed on your property and again, they will go somewhere else. I want to start by saying I believe San Diego is a great place to live. Every city in the United States will have some level of gang activity; you just need to know what to look out for and how to control it. There are great resources available that work with you and your concerns to help limit gang activities. The first and most important action you can take no matter who you are is to report suspected gang activities to the proper authorities. San Diego has a Street Gang Unit that specifically addresses this need. Read below for the exact details necessary to communicate your concerns. The PDF document regarding gang related FAQ’s is a great resource to answer all of your questions about San Diego Gangs. The Street Gang Unit consists of 10 teams of uniformed officers and criminal investigators divided into three functions: Gang Suppression Teams, Graffiti Strike Force and Gang Investigations. The Gang Suppression Teams work 7 days a week citywide, patrolling areas where gang crime is most prevalent. The Graffiti Strike Force focuses on emerging tagger groups that transition into criminal street gangs. Investigators in the Gang Unit focus on felony gang crimes committed by gang members and conduct extensive investigations into cases that ultimately remove the most violent gang offenders from our streets. The collective mission of the Street Gang Unit is to reduce gang related crimes and active gang membership in the City of San Diego. This is accomplished through vigorous prosecution of gang members involved in criminal activity by use of covert surveillance and special operations, proactive field contacts and arrests of gang members. These strategies reduce gang related criminal activity in our communities and enhances the feeling of safer neighborhoods for the residents of San Diego. The Street Gang Unit can be reached at (619) 531-2847 or through the San Diego Police Department Watch Commander after normal office hours (1700-0700). All forms of security will help keep control of gang activity in your area, if used properly of course. Physical security guards are a great way to get an extra pair of eyes on your property. Renters, managers, and owners all have a responsibility to work together to observe and report just as a security guard would. San Diego is where I call home and I am very proud to live here. All security, including apartment security in San Diego relies on everyone to do their part to keep themselves and others safe. If we all work together we can help keep San Diego America’s Finest City. If you are a manager or owner, go here to learn all about what security measures you should be taking. If you are a resident, go here to learn what you should be doing to protect you and your family.